Sergeant Fox was killed by an improvised explosive device while on a foot patrol in southern Nad ‘Ali, Helmand province. Sergeant Paul Fox, from St Ives, was born in Manchester on 16 December 1975. He joined the Army and entered the Corps of Royal Engineers in August 1994 and was trained as a Combat Engineer and Welder Royal Engineer Class 1. Having moved steadily through the ranks, excelling at all stages with his professionalism, he was posted to 45 Field Support Squadron, 28 Engineer Regiment, in 2006. In 2008 he was recommended by his Officer Commanding to join the regiment’s Reconnaissance Troop and was chosen for the Recce Selection Cadre, and having come top of the course became a Troop Sergeant with the Brigade Reconnaissance Force (BRF). It was with the BRF he deployed on Op HERRICK 11 in October 2009. Paul was a legend not only to his loving wife, children and family but also to anyone who ever knew him. Paul was a proud soldier who will be deeply missed. Sergeant Paul Fox was above all else a quite outstanding man. A tremendous soldier, impressive leader, fine engineer, good friend, cracking SNCO [Senior Non-Commissioned Officer], but principally just a great man. He volunteered for selection and training to join the Brigade Recce Force; a job and operational environment that was made for a man of Sergeant Fox’s ability. He had been employed as a Troop Sergeant from the start of Op HERRICK 11 and had quickly established himself amongst the very best in this demanding role. He was that good. “His quick wit, committed sense of purpose, dedication and capacity was beyond doubt. Having been casevac’d [casualty evacuated] from the field on an earlier occasion he was determined to get out of hospital and back out with his men as quickly as he could. His sense of duty and responsibility for them was such that he would never take a step back, always look after their interests, take the lead where others may have stumbled, drive on when situations or circumstances were against him. He was that good. I was lucky enough to have got to know Sergeant Fox well since taking command. He would drop in for a chat and a bit of banter when passing through Lashkar Gah and he brought with him the freshness and enthusiasm of someone who was doing an incredible job fantastically well, and enjoying the challenges of that task. His loss is a quite shocking sadness and I know that we have lost a great Royal Engineer. While our feelings of loss are huge it is to his family and friends that our hearts go out. What he was to us as a colleague and friend he was even more so to them as a son, husband, friend and father. Our loss is nothing compared to theirs and our best wishes go out to them. Sergeant Paul Fox was the Sergeant every Commanding Officer wanted under command, the SNCO every RSM [Regimental Sergeant Major] trusted, the colleague every other SNCO knew as a friend, the man every JNCO [Junior Non-Commissioned Officer] aspired to be like, and the leader every soldier depended on. He was that good; he was my best. Sergeant Paul Fox was an exceptional soldier who came to the Brigade Reconnaissance Force as an eager volunteer. During selection and training, it was clear from the beginning that he was one of the best in the squadron. He was a consummate professional, somebody who inspired others and led from the front. Such a display of soldiering marked him out as special. He gave everything for the good of his comrades and his death brings an unfathomable loss to B Squadron. Our thoughts are with his family at this time. Sergeant Fox, or ‘Foxy’, will be enormously and terribly missed by those who knew him and our thoughts and heartfelt sorrow is for the inconsolable loss his family, who meant so much to him, will bear. Sergeant Fox was such a joy to work with – his enthusiasm and cheerfulness were such a pleasure and matched his extraordinary skills. His courage was exemplary and there was no finer man to lead young men in dangerous circumstances, and many are indebted to him for his meticulous care and dedication to his profession. Sergeant Fox came to 28 Engineer Regiment Reconnaissance Troop with a high recommendation from his Officer Commanding in 2008. During the time I served with him he was without a doubt one of the best engineers I have ever had the pleasure of working with. His enthusiasm, professionalism and leadership were a cut above the rest, which made him a natural selection to serve in the BRF as an Engineer Recce Sergeant. He did not disappoint, coming top of the Recce Selection Cadre, and was further selected to become a Troop Sergeant in the BRF. His infectious sense of humour and cheeky banter was what made the many troop social events some of the best times I’ve ever had. He was a friend and brother to us all in Recce Troop and always will be. His untimely death has deeply saddened everyone that knew him and our thoughts and prayers go out to his family and friends during this difficult time. I was privileged to have known and worked with Paul Fox since the formation of 11 BRF in January 09. A dedicated family man, he had an infectious enthusiasm for everything, whether leading his section, playing football or talking about his beloved family, Charlotte, Ruby, Archie and Jack. No smile so wide, no-one with more energy for life. Whatever the occasion, even when morale had been zapped from the best of us, Foxy was there to give you a boost. As one of the key personalities of the BRF Sergeant Paul Fox led by example, was professional throughout and held the affection of every man. Even to a relative outsider his love and excitement for his family was clear and contagious. Our thoughts and strength are with those of whom he never stopped talking – Charlotte, Ruby, Archie and Jack. To Foxy’s whole family and to all those who knew and loved him I offer my sincere condolences. Courage, integrity and professionalism are but a few of the many traits that Foxy had. He was liked and respected by all who had the pleasure of working with him, and especially by all the members of the BRF. The source of the squadron’s energy was Foxy; he was always there selflessly offering his perfected brew around the lads, whilst sharing his wealth of knowledge in a manner that would boost morale. There is no doubt that being such a good soldier and engineer, that he would have gone a long way in the Army. He left his mark on so many people; it has been my greatest privilege to serve alongside him. My thoughts are with his family and friends at this difficult time. I knew Foxy all his career, a brilliant soldier and loveable rogue. One of my fondest memories of him was when he was a young Lance Corporal. Rumour had got to me that he had smashed the glass in the door of my Squadron Bar after a couple of shandies. I went into work ready for him; however, on inspection, the door was perfect. Later on that day my eyebrows were raised when I noticed a door missing from the Warrant Officers’ and Sergeants’ Mess of 3 RHA [3rd Regiment Royal Horse Artillery]. My thoughts go out to his family and friends at this terrible time. Rest in peace mate, God bless you… and keep your hands off those pearly gates. I was lucky enough to serve with ‘Foxa’ as his Staff Sergeant in 1 Troop, 4 Field Squadron, and then in 1 Troop, 31 Armoured Engineer Squadron, in what was a very close body of soldiers. Sergeant Fox held the rank of Sapper and then Lance Corporal in his time with the troop and deployed to Canada, Kosovo and served on the front line in Iraq throughout the war phase. I regard him as one of the most professional and dedicated men I have ever had the privilege of serving with. He had more drive and determination to succeed than anyone I have ever met. He gave 110 per cent in all that he did; whether it was on the sports pitch representing the regiment or corps at football or on exercise or operations, ‘Foxa’ was a man who could be relied upon to get the job done to the highest standard. The side of ‘Foxa’ I will never forget though was the incredible lust for life and sense of mischievous fun that was such a large part of his make-up. He could make a brick laugh. You dreaded being on the end of one of his more outrageous pranks but secretly revelled in the fact that you were a part of the fun. I will never forget chasing him around Prague with five minutes to go, trying to get him onto a coach after we had had a night on the town and he wanted to change the local currency back to Euros. I think the quantity amounted to 20 cents! Christmas will also be a little sadder, having played ‘Ibble Dibble Black Spot’ to a new level of outrageousness with him in a Chinese restaurant near Hohne and spending the night looking like a member of ‘The Black and White Minstrel Show’. At Hameln early last year he dropped everything he was doing to fix my car and get me out of trouble, showing a level of loyalty and friendship that is very rare. There are many more stories that can be told about this larger-than-life Sapper, because he touched many lives for the better. For the moment however a very heavy heart stops me from going on. He will not be forgotten; on return to Germany I will be raising a glass to the best of the best. ‘Foxa’. It was an honour to know and serve alongside Sergeant Paul Fox. Foxy’s cheeky grin combined with that mischievous glint in his eye endeared him to all who had the pleasure of meeting him. He has been described as a loveable rogue, and that is certainly true, but above all else the superlative that describes him is ‘immense’. He had immense courage, immense skill, and was rightly identified as one of the very best of his generation. This squadron, the regiment and the Corps of Royal Engineers has lost a shining light, but the sorrow we feel pales against the grief that will be felt by his family. They are in all our thoughts and prayers. Rest in peace Foxy, you will never be forgotten. Foxy was the definition of professional; he took pride in being an engineer and took pleasure in carrying out his engineering tasks. Foxy started within the BRF as a Section Commander but soon took over the task of Platoon Sergeant with ease, leading from the front as was his way. I will remember him for his sense of humour, his dedication to his job, and the love he had for his family. I will miss him as a friend and as an expert adviser. I first met Foxy early last January while he was on the BRF selection; it was evident then how much energy and enthusiasm he had, no matter how bad the task. While we were in the same troop Foxy was inspirational. 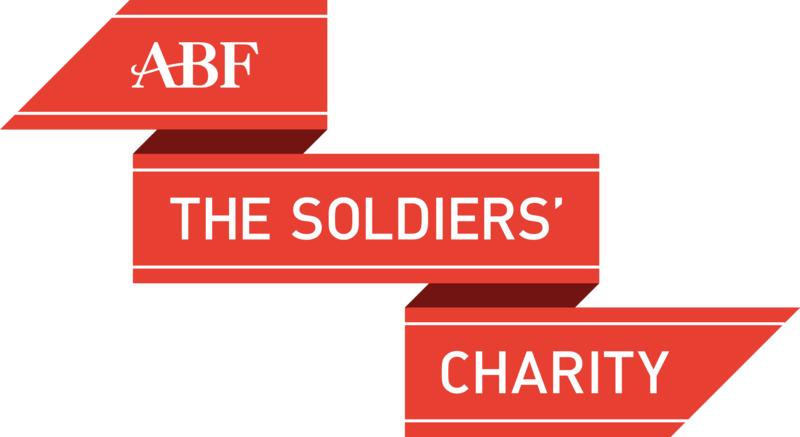 He truly loved the fact that he was part of the BRF; in his words, ‘it’s real soldiering’. During the long nights we spent in compounds, the conversation always drifted to our families. How Ruby was ace and Archie was a ‘mini-Foxy’ destined to be a footballer. I know the words I use will only go a short way to comfort his wife Charlotte, if at all. Foxy, in such a short time you have given me so much. Rest in peace mate. I have had the pleasure of knowing Foxy for the last 10 years of my career. I met him first as a young Sapper out in Northern Ireland, where his cheeky Mancunian wit lit up the troop. He was constantly joking around in true Manchester-style. I next met him when we were both at 28 Engineer Regiment as Corporals, still the same old Foxy – larger-than-life and still joking around. We were both cadre Corporals and he had a definite ‘it’s my way or no way’ leadership style. Even when we were both attached to Recce Troop he was always the loudest of all in Recce Troop and always the loudest of all four Recce Sergeants. Paul will be missed. His cheek, his smile and his determination kept us all going. Being an American unit attached to the BRF after only recently arriving in country, we had only just met Foxy. In the short time that we operated together, it was easily apparent the pride Foxy had being an engineer in the BRF. Through our shared love of demolitions we became good friends. The way Foxy conducted himself on the ground, as well as in camp, reflected great credit on the quality of soldier and friend he was. He was always the one leading the search for IEDs to ensure the safety of his troop. His selfless attitude and conduct as a soldier made all those around him better. He was a great friend and will be sorely missed but never forgotten. All those who knew Foxy are better for it, with all my respect for his family and friends. I have known Foxy since the formation of Recce Troop and worked with him in the months before we deployed. It was always enjoyable to work with him and I will always remember him being approachable. He always took time to talk to me and have a bit of banter with me and the other lads in the troop no matter how long it had been since we last spoke. He always took an interest in others around him no matter who they were. I wish I could have known him better. I was introduced to ‘Foxy’ when ‘Recce Troop’ was first formed. He was high in spirits, but could always make the best crack in the low times, which really meant there weren’t any, not for the guys around him anyway. ‘Recce Troop’ took him away a lot, including to South Africa, but I’d always look forward to sitting down for a chin-wag with him and again whenever I was able to see him on tour. I’ll always remember Foxy as a headstrong mate when it came to work, a great crack in our own time, but a fantastic guy. It would have been a pleasure to have known more of him and to have spent more time with him. My final thoughts go out to all who knew him, anyone that had the pleasure of meeting him, but above all, his family. Always in heart, forever in mind. When Foxy came to Recce Troop, we got on straight away enjoying a lot of laughs and banter together, except when I was late a couple of times! Always keen to motivate everyone especially on PT [Physical Training] at which we would push each other and test ourselves. A pleasure to serve with as an engineer and in the BRF where he helped me out whenever I needed it, even teaching me how to play Xura properly! Sgt Paul ‘Foxy’ Fox will be greatly missed by all who knew him. Sergeant Fox was an outstanding soldier and person. I will always remember how he would crack jokes even during the hardest times and how his enthusiasm for the job kept us all going. I had only known Foxy for just over a year and the memories of him will stay with me for many years to come. He would always look out and look after me whether we were working or socialising. He was a very caring person. My thoughts are with his family, his wife Charlotte, daughter Ruby, and sons Jack and Archie, who he spoke of all the time and who he loved dearly. Sergeant Paul Fox will always be missed but not forgotten. I first met Foxy when Recce Troop was first formed; he was so keen to be part of ‘Recon’ as he called it. He was a well-liked member of the troop and always up for a laugh and especially a good night out. He always liked to remind me how I could never beat him in a PFT [Physical Fitness Test] and it didn’t matter how much I tried he would always be at the end laughing at me. Foxy was a mega Sergeant but most of all a mega bloke. He will be missed by everyone and will never be forgotten. I have known Sergeant Fox since the formation of Recce Troop; unfortunately I hardly had the chance to get to know him that well due to him being away on BRF exercises. But when we did speak to each other he was always keen to know how we were getting on and was approachable. He was pretty much an all-round genuine guy. He will always be in our thoughts and prayers. I’m not really good at this so I’ll keep this short. Foxy helped me through some hard times, for example the march back to Checkpoint Alpha which the boss said was 400m but turned out to be four miles. Anyway, I was in turbo rag but Foxy kept encouraging me to keep going and was at times guiding me as I couldn’t lift my head, but he kept me going until we got there. And when he had a pack of Oreos or a Yorkie bar, he would give me the last bits because he knew I had a sweet tooth. I will never forget Foxy, mainly because of the amount of brews I made him. Rest in peace. I will never forget Foxy from the times I spent with him, from living in a flooded tent in South Africa to being sat in a ditch out here, talking about classic films from the 80s. Foxy never stopped talking about his family and how much he loved them, so can you please tell his little soldiers how much he loved them. What I remember most about Foxy is the advice he used to give me about kids. He would always be excited to tell me how great kids are and how much they shape your life. He would use his son Archie, who he loved so much, as an example. He was someone who you could talk to if you needed advice and he would always listen. You will be greatly missed Foxy. The death of Sergeant Fox is incredibly sad news. It is clear from the words of his colleagues and friends that he was a soldier of huge talent, and a man of great charisma who encouraged his friends and colleagues through the toughest times. I know his leadership and skill will be missed. My deepest condolences are with his family and friends at this time.